Recognised throughout the world for its near-perfect conditions for looking at the stars, the Canary Islands have clear skies that are even protected by law. As a result, if you are a keen astronomer, or simply enjoy gazing at the night sky and spotting the constellations, the Canaries have many great spots for star-gazing. Whether you want to go on an official tour, take a solo hike, or use the professional equipment at an observatory, here are the best places to look to the heavens. Officially declared a Starlight Tourist Destination and starlight reserve, Tenerife’s Teide National Park has exceptionally clear skies, and offers many opportunities to stare at the stars, either through official tours or on your own. 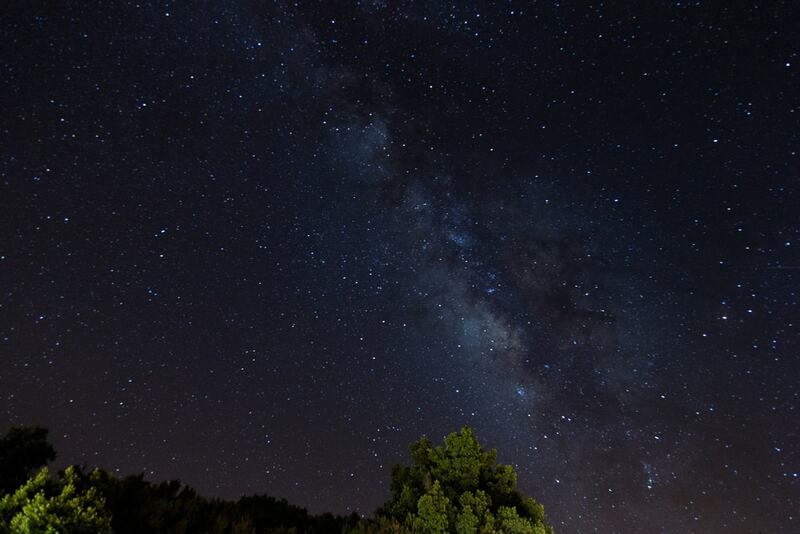 Take a trip to the ‘starlight reserve’ of Teide National Park with a professional starlight guide who will talk you through the night skies, and give you use of professional telescope. With crystal clear skies and help to navigate the stars, it is possible to see 83 out of the 88 official constellations from this fabulous spot. The luxury Ritz-Carlton in Abama hosts private summer star parties, which include an exclusive tour of the Teide Observatory, a chance to look through the world’s largest telescope, and a gourmet stargazing picnic. The Hotel Parador de La Cañadas del Teide is the only building located in the National Park, and at 2000m (6,562 ft) above sea level, has spectacular views of the surrounding area and the volcano. Not only does the hotel make a great base for taking a night-time hike to find your own private stargazing spot, but the hotel also has two telescopes for guests’ use, plus hosts regular talks from local astronomers. If you are able to hire a car it’s well worth taking a night drive to the Mirador Llano del Jable viewing point. At 1340m (4396ft) above sea level, the skies here are so clear and dark that not only are the stars mind-blowing, you will get outstanding views of the Milky Way and the Zodiacal Light too. The whole island of Fuertaventura was declared a starlight reserve in 2015, and with clear skies and no light pollution, the island facilitates some pretty easy stargazing without the need to climb a mountain. Stars By Night offer a range of stargazing tours, with options to enjoy a traditional meal before heading to one of the prime viewing spots, with an astronomer who has a telescope and laser pointer to guide you through the night sky. There is also an option for a night-time trip to the Carralejo Dunes, where you can lie back and look at the stars with sound of the ocean as your soundtrack. On key dates in October, November, and December, there are some impressive meteor showers to view from the island. Take a starlit hike through the hills with an astronomer as your guide, talking you through constellations you will witness on route. At the end of the hike you will have the opportunity to use a professional telescope for a more detailed look at the night skies. This hike is available as part of a larger group, or a private tour for a maximum of four people. 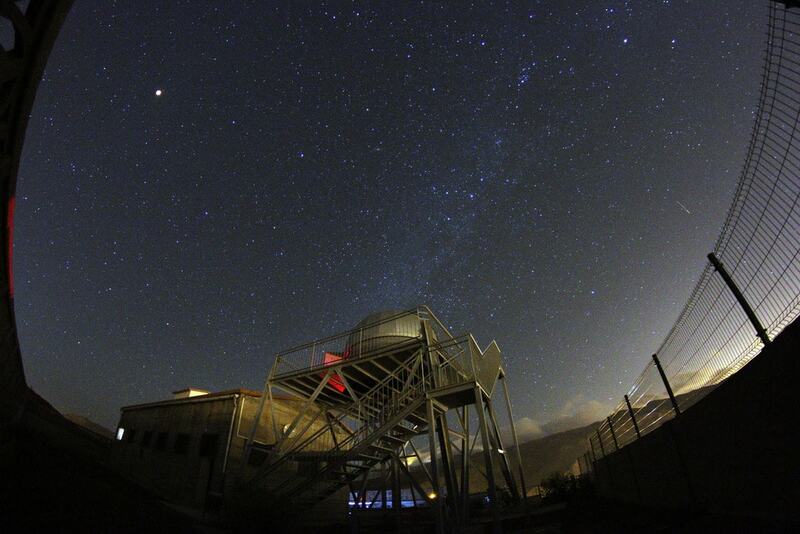 At 850m (2,788ft) above sea level, the Observatorio Astronómico de Temisas is in a peaceful location with clear, dark skies, yet is easily accessible from Gran Canaria’s major towns. The non-profit Canarian Foundation for Temisas Observatory ensures that the facility hosts an excellent public education program alongside its scientific research, and in fact is the only observatory on the island with talks and events geared towards the whole family. An unbeatable place for an introduction to astronomy, there is a stargazing platform, a telescope dome and specialised equipment, including lasers to point the constellations and other important astronomical wonders. 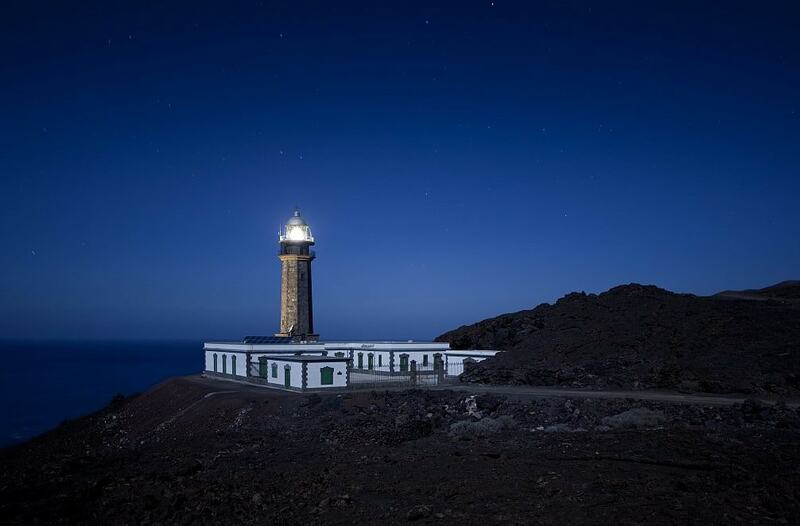 The Punta Orchilla Lighthouse at the most westerly point of the Canaries on the small island of El Hierro has been described as Spain’s most remote lighthouse. This spot offers the chance to view crystal clear night skies from a natural platform right next to the ocean, virtually uncontaminated by light pollution. It was also once considered to be a prime meridian in the days of early map-making, and a memorial marker near to the lighthouse indicates its historical significance.